There are no comments for Birdland. Click here to post the first comment. This is painting #5 in the "So Jazzy" series created by TONY B. 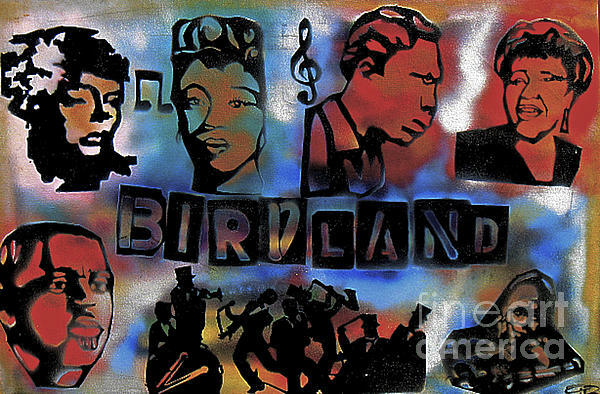 CONSCIOUS (The ghetto Van-Go) This painting is a dedication to the pioneers of Jazz... Billie Holiday, John Coltrane, Dizzy, Gillespie, Charlie Parker, Ella Fitzgerald and Charles Mingus. Additionally this is for those who have changed the world with their horns and their creativity as expressed through the music commonly referred to as Jazz.